My second album "Sleepless Street" celebrated its fourth birthday this week. If you haven't heard it yet, now is the perfect time to discover it... For a little while, "Sleepless Street" is available as a free download over at bandcamp.com. Please share this music with anyone who might enjoy it. That's what it's there for after all. 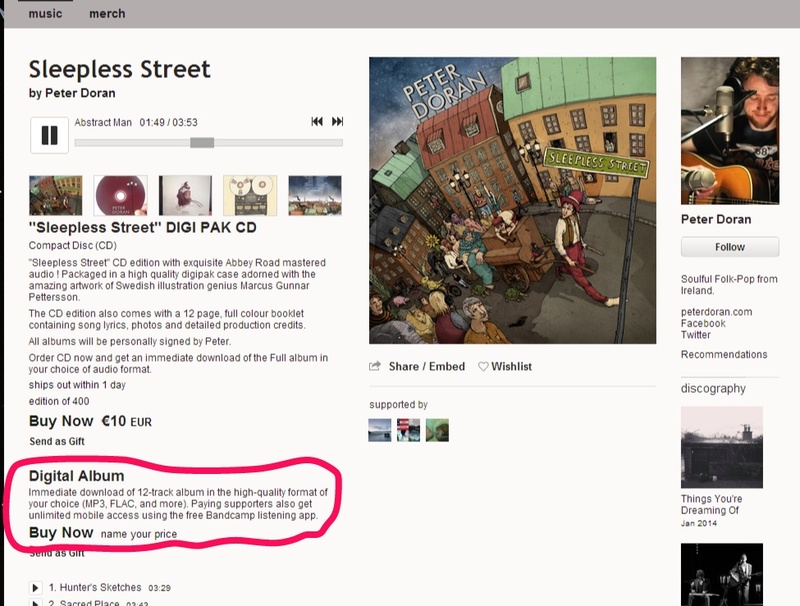 So, you'd like to know a little more... then read on... "Sleepless Street" was my second studio album. Four years had passed since "Wood" and it was time to go again. Time to go back into the arena. All albums have a story, a narrative that goes beyond and behind the songs. This is the story of "Sleepless Street". Somewhere in the middle of 2009, I had enough songs to make up a new album. 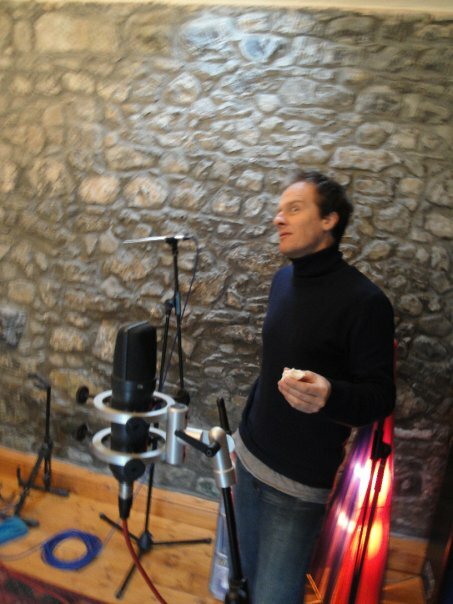 I was getting that recording-feeling in my bones. It was time to start documenting these songs, to find a home for them in the big Eternity. I began by making demos. I recorded rehearsals, I recorded at home. I spent a night tracking electric guitars at Veebee Studios. There was plenty of action but not that much focus. At least I was moving in the right direction. I put some of these demo recordings up on a music website called thesixtyone.com, an amazing music discovery site. I got some nice feedback on the songs from listeners on the site, and that encouraged me to keep moving forward. "Where the hell am I going to find a producer?" On the 8th September 2009, I got an email from an Italian producer who had heard, and liked, some of my music on thesixtyone.com. I remember that day very clearly. I remember exactly how I felt - dreadful. Not existentially, no, this was a purely physical ailment. I was hungover. Incredibly so... The night before, I had been at a Fleet Foxes concert in Dublin with a friend of mine (His name is Stephen, he's the very same friend who loaned me the microphones to record my new album, everything is connected). This was my first time to see Fleet Foxes, I was excited. I drank a little wine before the show. I drank some more during. When the show ended - more wine! The last bus leaves the city at 11:30pm, I was supposed to be on it. I didn't make it. No problem - I would stay at my friends house, easy. The concert was amazing, our spirits were high... why would I go home?! As always we talked music. I remember telling Steve that I was working on new songs, doing some recordings and generally plodding along the best I could. Somewhere in the haze of the conversation, he told me clearly... "You need to get a producer, you need to do this right". "Sure" I thought, a producer... where the hell am I going to find, never mind afford a producer! Fine idea though. 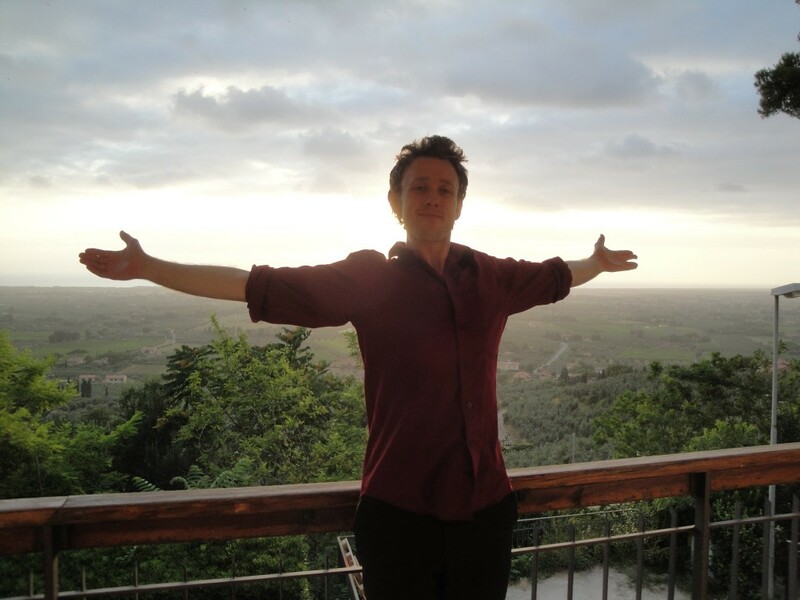 The first move was for me to visit Filippo at his home and studio space in Tuscany. I didn't take much persuading. It happened quickly - I booked flights and headed to Italy. It was beautiful. We played music, football and ate great food. Were we compatible? Was this feasible? Could it work? YES. Things went smoothly and we made our first recording steps that weekend. Filippo had ideas to use some additional musicians on certain songs - A drummer in Colorado, a guitar player in Canada. Filippo would play bass on a couple of songs too. I had my own musician friends at home in Ireland who I had played with for a number of years. I hoped that they wouldn't mind sitting out a couple of songs. In the end I hope we achieved a good balance of musicians across that project. It's a strange and not too enjoyable thing to ask musicians that you've played with for a long time to sit out on songs they have been working on with you. But I try always to make decisions based on what's best for the work, for the project, that's the most important thing at the end of the day. You have to make your calls and keep going. 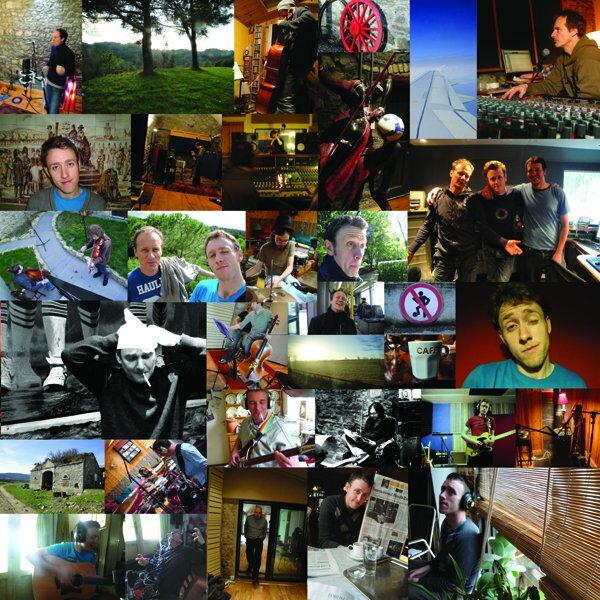 The album was recorded primarily over three sessions. That first one in Tuscany, the second in Grouse Lodge in Ireland and the final tracking happened in Vienna. It was a very exciting time and I'm extremely proud of the results. We kept some of the original demos that I had been working on and built around them, but for most songs we started from scratch. I was happy, these were the best recordings I had ever made. Looking back now, there's not a lot I would change. The first track is probably a bit too rocky for my tastes now and I feel slightly disconnected with it. But it doesn't matter. I'm still proud of it, I still feel like it was the right call at the time, and you know, lots of people love that song. That's more important than anything I happen to feel about it right now. You have to let albums go I think, not get too caught up in the permanence of the thing. Look at it big-picture-wide. It's all a process, it has to be. A songwriter, or any kind of creative person can only do their work to the best of their ability and move on. You mustn't cling too hard. Once it's done, it's for other people. "and with these words spoken, the composers eyes closed over, and with both grace and honour he began to let it go" - The Composer (Sleepless Street- Track 6) The album got its final touches at Abbey Road Studios, London on May 26th 2010. 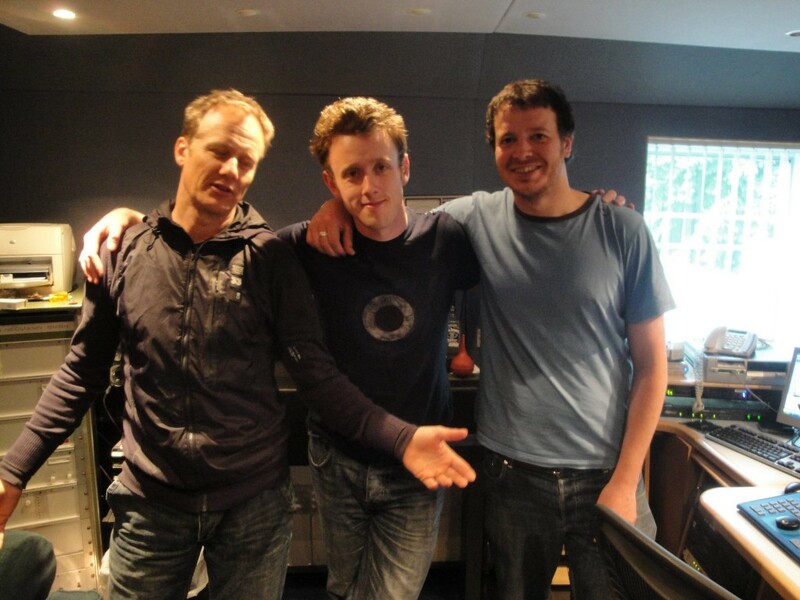 Alex Wharton did the mastering and myself and Filippo sat in on the session. It was amazing to wrap up the project in a place with such an incredibly rich musical history. I couldn't write a piece about "Sleepless Street" without mentioning the amazing illustrator Marcus Gunnar Pettersson. Marcus created all the album art for "Sleepless Street" and is one of the most talented and generous people I've ever met. His illustrations for SS, and his work as a whole is as unique as it is beautiful. Go check out his site for more examples. 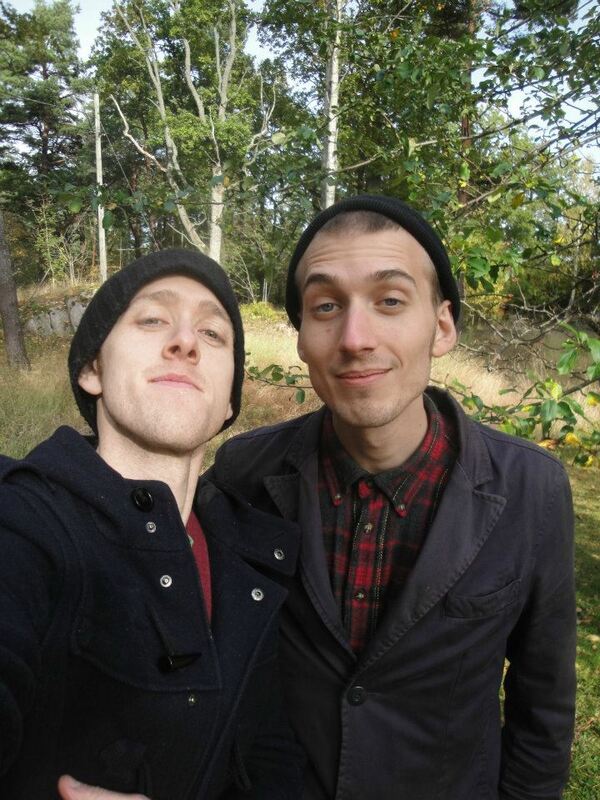 Marcus and I. Sweden, 2011. 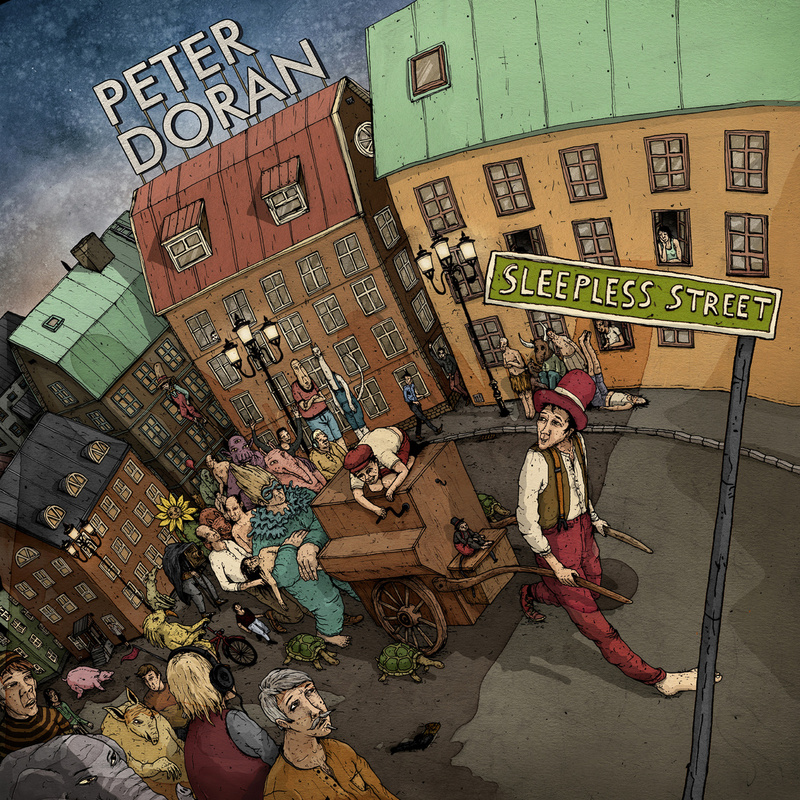 Join the Peter Doran mailing list. Never miss a note.